It's Halloween and Casper the Friendly Ghost wants some new friends to help him enjoy the spookiest holiday of the year. Join everyone's favorite spectral pal on a host of classic Halloween adventures with these great Halloween Comicfest Mini-Comics, which are perfect for ghost and goblin trick-or-treaters! 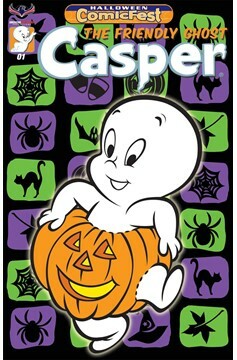 Spread friendship instead of fright with classic Casper fun and tales the way you remember them!.